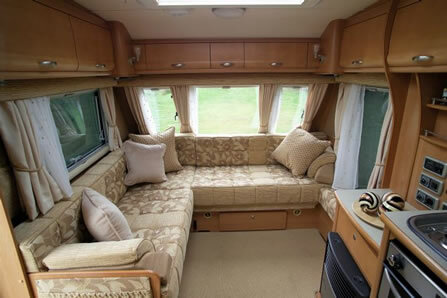 Today I cleaned all the upholstery in caravan for Mr.T. He had just taken delivery of a new to him caravan and he, and perhaps more so Mrs T , wanted to be sure that the interior was as fresh and clean as possible. One of my favourite cleaning solutions – M-Power – was perfect for the job as not only is it a fantastic cleaner it also has inbuilt odour removal properties so I could be sure that the upholstery was not only clean but also there would be no reminders of the previous owners. I finished off the clean with a protector which will help guard against and accidental spills and also keep the fabric looking and feeling good for years to come. Contact The Rutland Cleaning Company for them to refresh you caravan or motorhome as well as your home.